Born in Poole in 1928, and growing up in humble surroundings in London’s East End, Sutton left school at fourteen and briefly worked in a drawing office before completing his national service during the Berlin Airlift. He attended the Slade School of Arts from 1948 – 53, where his contemporaries were Craigie Aitcheson, Michael Andrews and Euan Uglow. The unique and irrepressible colour and vibrance of his style, reflective of the work of Henri Matisse, swiftly attracted an attention that lasted into his eighties. He has exhibited widely throughout the United Kingdom and in 1977 the BBC Arena Programme made a film about his work and a retrospective exhibition of his work was held at the Royal Academy of Arts, London. He was elected a Royal Academician in 1988. 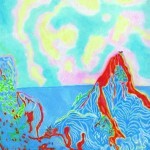 He has travelled widely in order to paint, but now 86, has recently moved to live in Bridport, Dorset. David Worthington is a noteworthy sculptor whose work has been shown all over the world. He was shortlisted for the Jerwood Sculpture Prize in 2009 and was elected vice president of The Council of the Royal British Society of Sculptures in 2010. His work pushes what is possible with stone and he continually revisits themes, such as movement, the legacy of modernism and sensuality in art. 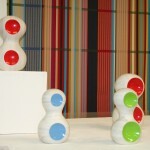 He relishes the tactile nature of stone and his work includes highly pleasing polished surfaces that need to be touched. His revolving sculptures invite the viewer to turn large pieces of work with the ease of a playground roundabout. It is with this physical interaction that the viewer steps completely away from the formality of classical sculpture. The element of play, ever present in his work, engages the audience on a physical as well as intellectual level. David now works out of his studio in Symondsbury, Dorset, a huge indoor and outdoor space that allows him to create large scale work. 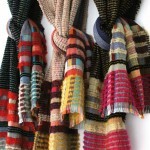 Harriet Wallace-Jones trained at Central St Martin’s, going on to take a MA in Weaving at the Royal College of Art. It was during her university years she met her business partner Emma Sewell. Wallace Sewell create innovative woven fabrics using vibrant stripes and abstract designs in a variety of materials, from silk to chenille, to lamb’s wool. The pair is continually challenging themselves to create contemporary designs. Commissions range from bespoke scarves for the Tate gallery, Anthropologie, silk wall hangings, to a series of iconic public commissions for ‘moquette’ designs for Transport for London seating. Harriet has also been awarded a Silver Medal of Achievement by The Worshipful Company of Weavers. The medal is awarded for outstanding talent and ability within the UK textile industry. She is now a liveryman within the organisation. She lives near Beaminster, Dorset. Finalist SONY World Photo Awards, Somerset House, 2014. Finalist CIWEM Environmental Photographer of the year, Royal Geographical Society, 2014. Fashion and gallery work. 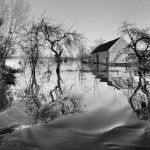 ‘Under The Surface – Somerset Floods’ published 2014. 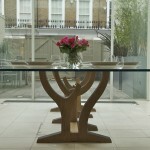 Rupert Senior is one of the UK’s foremost bespoke furniture designers and makers. He is passionate about what he does, working together with his enthusiastic clients to produce contemporary pieces of understated style and beauty. Rupert’s goal is to create unique furniture with a simplicity and honesty of form and proportion using outstanding British craftsmanship and superb materials. He finds the design process a particularly exciting moment, often exploring opportunities for innovation in response to the way people live today. Much of Rupert’s work is made in wood, his acknowledged area of expertise. Rupert’s interest in woodwork began at school. He trained at The Parnham School for Craftsmen in Wood before setting up in partnership as Senior and Carmichael. After a productive collaboration of some 25 years, Rupert went on to establish his own successful studio, based in Surrey. Recent public commissions include special folio cases for the Sir Charles Barry Library at the Travellers Club, Pall Mall, London. He currently sits on the Guild Mark Committee of the Worshipful Company of Furniture Makers, the UK’s hallmarker of excellence in design and craftsmanship, himself having received 13 Guild Marks in the past. When Rupert is not designing furniture he likes to paint – portraits being his particular area of interest. Christopher studied BA (Hons) 3D Design Ceramics at the University of the West of England. After graduating he worked for a number of studio potteries around the UK including the Dartington Pottery in Devon and Edinbane Pottery, Scotland. Alongside this he developed his own practice as a ceramicist before returning to study at the Royal College of Art gaining an MA in Ceramics and Glass. During his time at the RCA he was awarded the Royal College of Art Travel Scholarship and was a prize winner in Lighting Association, Lighting Design Awards. 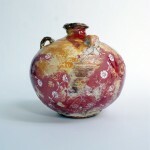 His work is exhibited at a range of galleries and stockists including Contemporary Applied Arts, London and Galerie Altena, Holland. He taught ceramics at North Devon College on the Foundation Degree programme and is now Programme Leader for Contemporary Crafts, Plymouth College of Art.